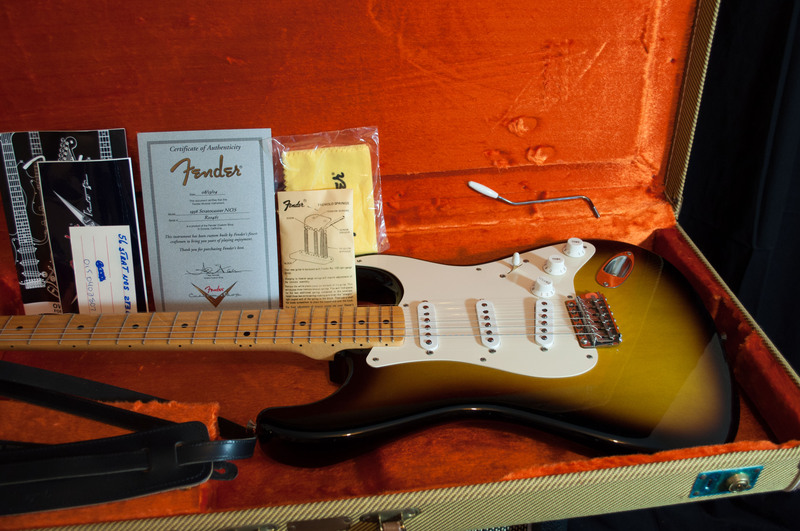 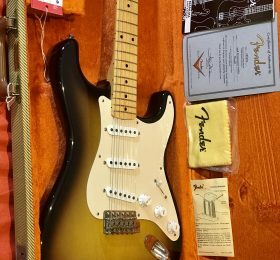 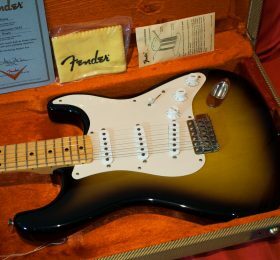 Here what we have is a pristine Custom Shop 56 Reissue Stratocaster in two tone sunburst! 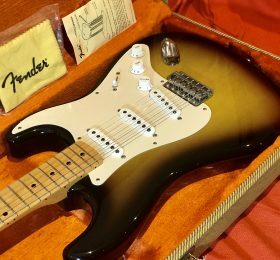 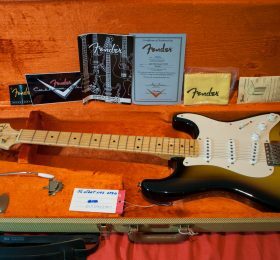 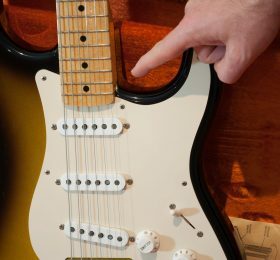 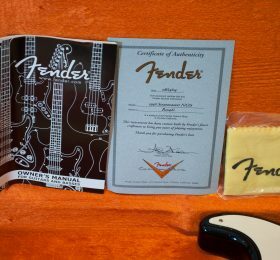 This is such a classic reissue of a Strat in NOS format in very very near mint, new condition. 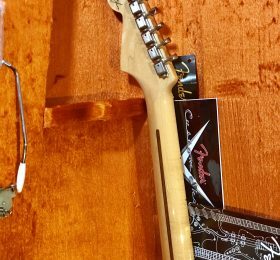 Absolute zero fret wear, zero playing marks. 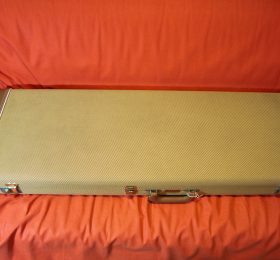 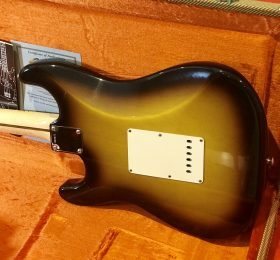 Premium selected alder body (it looks like it’s a ONE PIECE BODY) with a maple neck and 9.5 inch radius and the factory provided 5 way switch has been installed and the 3 way switch is in the hard case. 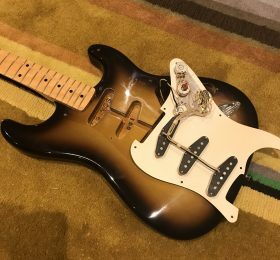 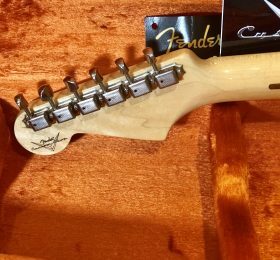 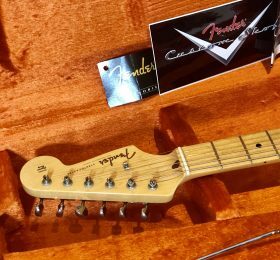 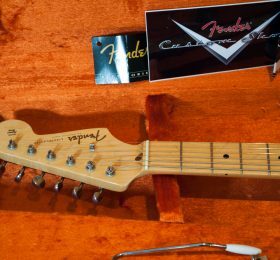 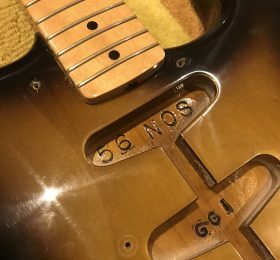 This ’56 has a very sought after “V” shaped neck profile that has a bit of chunk to it, great for a solid grip, David Gilmour’s favourite neck shape. 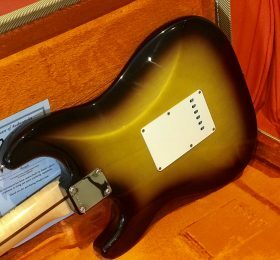 It’s got only one little mark on it: at the neck pocket which is typical (I’ve seen it on many other Strats with this old-school design where you basically need to unscrew the neck for the truss rod adjustment, these have an ultra-thin nitro finish which is very sensitive) I think this is really nothing on a 14 years old Strat and hey we are talking about a 56 Fender Strat, check the relic’ed version of this how many marks does that have 🙂 ?